That’s our motto. 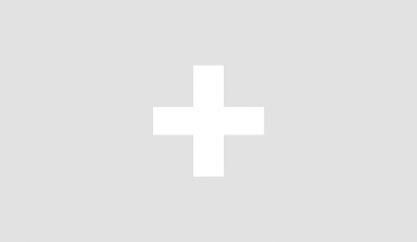 We don’t represent hundreds of villas where there would be no way we get to know each property intimately. 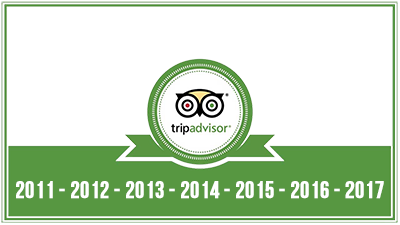 No, we hand-picked all the villas you see here and have personally visited and vetted each one. Not only that, but we help you with every aspect of your vacation so that you’re getting more than a set of keys. We help you arrange car rentals, taxi transfers, activities, and we even have a guest services office on-island to help with any needs during your stay – kind of like a hotel! Renting a villa can be so much more rewarding than staying in a big resort or even a little hotel. A villa rental gives you privacy, peace and quiet, immersion in the authentic local culture, and the freedom to live your vacation anyway you wish, whether it be sitting on the balcony watching the ships go by, or out exploring all the places and things to do in St. Lucia! 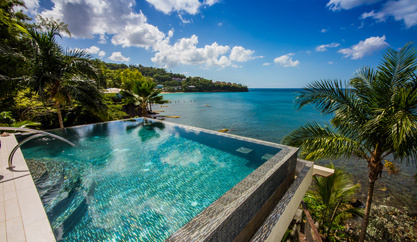 All of the villa rentals we offer are hand-picked and always 100% private to your party, because after all, personal privacy and a home all to yourself is one of the biggest reasons for going on a ‘villa holiday’ in St. Lucia! Our home base is in Marigot Bay, but we also offer a variety of villa rentals all across the island of St. Lucia with great locations and great views! This includes La Toc, Anse Chastanet, Soufriere, and between the Pitons! We don’t just hand you a set of keys and leave you on your way. We can help with every detail to ensure you have a seamless vacation; from private chefs, taxi & airport transfers, car rentals, activities, weddings, and more! When you rent a villa through us, it’s nice to know that we’re always there to answer the phone or email with any questions you might have. We also have an on-island guest services office to assist with any needs you may have. Marigot Bay is located midway up the west coast of St. Lucia, and was once dubbed "the most beautiful bay in the Caribbean" by author James A Michener, and we would tend to agree! 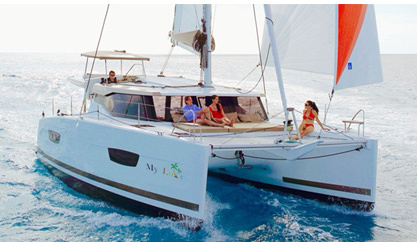 Marigot Bay is a very peaceful spot for vacationers; a great place to relax and enjoy gorgeous scenery, watch the ships go by, and enjoy nature. It's a quiet and relaxing place but still not too far removed from everything you need - like a little grocery store, some excellent restaurants, a dive shop, and more. Furthermore, because of its central location, Marigot Bay is a great hub for exploring the rest of the island to the north and south. However, if you're a very active traveler who likes to hit a new restaurant every night and wonder the town, Marigot Bay may not be the place for you. 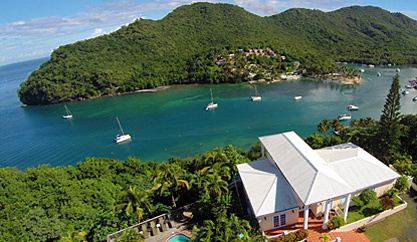 A cozy community of 12 private, self-catering villas overlooking the gorgeous, Marigot Bay. Watch the ships go by perched from your balcony, or hang out at the beach below. A lovely cottage-style villa with a view of Marigot Bay. A quiet, peaceful place with manicured gardens and enchanting private pool. 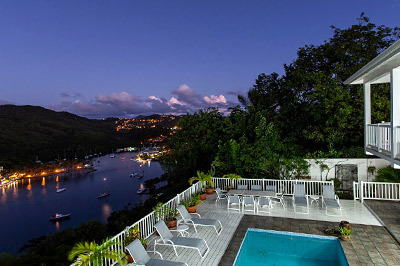 A majestic home overlooking Marigot Bay with an incredible panoramic view. 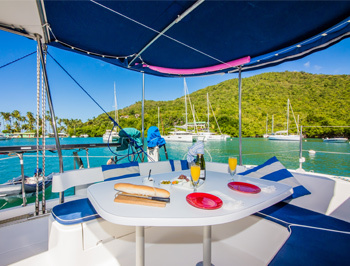 Plenty of privacy but not far removed from all the amenities of Marigot Bay. Great for large groups but still affordable for 2. A small but incredibly romantic villa/suite with everything you need and enchanting sunset views over the ocean. A modern luxury-style home in the heart of Marigot Bay with all the privacy and modern amenities you want. 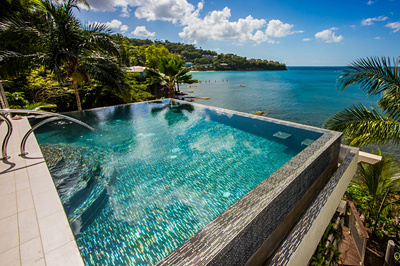 A newly built, modern-Caribbean style home with a gorgeous infinity pool. It’s luxury without the luxury cost. Our largest, most luxury villa overlooking the quiet bay of Trou Rolland. A unique detached concept makes this villa feel more like a boutique luxury resort. A spacious, elegant video sitting atop the ridge of Marigot Bay with an incredible view and with plenty of space for large groups. 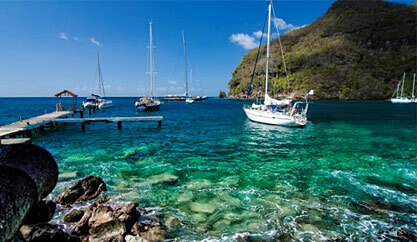 The Pitons Mountains of St. Lucia are of course the island's most famed landmarks. Although it is quite easy to go visit them from other places on the island, such as Marigot Bay, you may prefer to have a view of them directly from your villa. We offer several different villas all situated around the Pitons, and a couple are actually located within the Pitons World Heritage Site, which is quite rare. These villas are often more secluded, but for the traveler who's looking to enjoy nature, incredible scenery, and pure peace & quiet, these villas are probably for you! 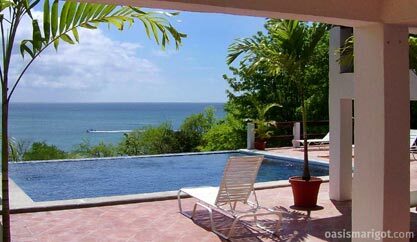 The only neighboring property to its sister villa, the Jaco Pitons Villa. The Coco Pitons Villa is very private and quiet, a perfect getaway for nature-lovers or someone looking to get away from it all. A luxury-style open-concept villa located in Anse Chastanet with picture-postcard views of the Pitons. This villa features an awe-inspiring, open-concept architecture built directly into the mountainside with stunning views of the Pitons mountains. A local-style house perched on the hillside above the town of Soufriere with an impressive panoramic view of the Pitons Mountains, valleys, and even the volcano. A very private and quiet villa surrounded by nature and vegetation, and featuring a wonderful view of the Pitons Mountains. 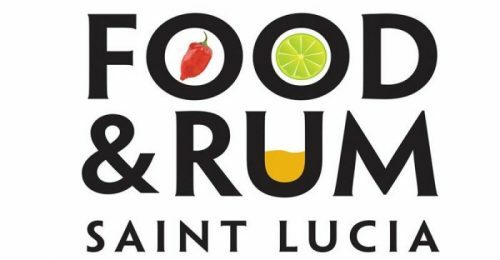 It's worth to mention upfront that St. Lucia is not necessarily known for typical Caribbean beaches like what you might expect in the Bahamas or Cayman Islands. 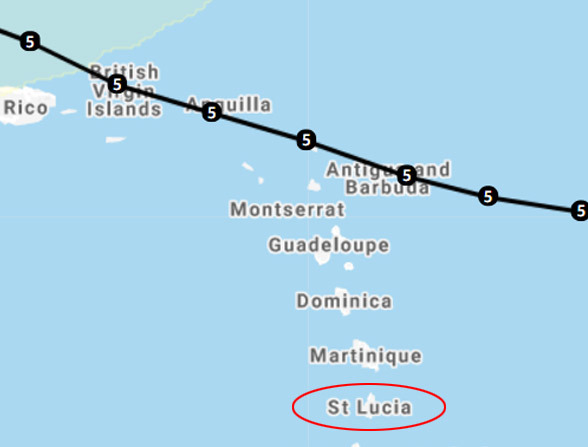 Since St. Lucia is a very mountainous and volcanic island, the sand is typically darker and larger grained. Yet, we find them just as beautiful as anywhere else in the Caribbean, and we do offer a few villas that are in direct walking distance to some of the island's best beaches, most notably being La Toc Beach. A light, airy, and spacious villa located in La Toc with a gorgeous butterfly-tiled pool, and just minutes’ walk to the beautiful La Toc Beach. A newly renovated, modern-Caribbean villa located in La Toc, with beautiful infinity pool and spacious outdoor lounge areas. Short walk or drive to the beach. 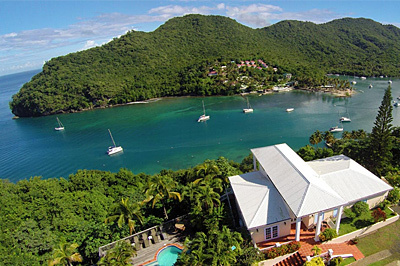 A cozy community of 12 private, self-catering villas overlooking the gorgeous, Marigot Bay. Just walk down the hillside to the quaint little Marigot Bay beach for relaxing, watersports, or a drink. 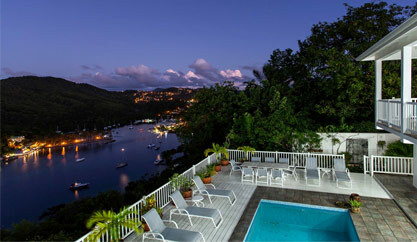 A lovely cottage-style villa with a view of Marigot Bay and an enchanting pool and patio. Just walk down the hillside to the quaint little beach of Marigot Bay where there’s beach chairs, water sports, and restaurants. A charming cottage-style villa only 10-15 minute walk to two different, beautiful beaches. A stunning, newly constructed villa on the beach of La Toc. If you're looking for a more pampered, absolutely stress-free, and stylish getaway to St. Lucia, we offer several hand-selected villas that define the word luxury. Especially if you're a larger party, the luxury villas we offer are generally bigger and more spacious. These villas often come with extra services as well, such as complimentary meals, boats, butlers, and more. So if you're a large group or just looking for a vacation fit for a star, these are the luxury villas for you. Our most luxurious villa, a detached, open-concept design resembling something of a small boutique resort – but 100% private to your party with total privacy and everything you could possibly need. A newly built, modern-Caribbean-luxury style home with a gorgeous infinity pool. It’s luxury without the luxury cost. A modern luxury home in the heart of Marigot Bay with all the privacy and modern amenities you want. All the comforts of home but in a tropical paradise! A light and airy, luxury-style open-concept villa located in Anse Chastanet with picture-postcard views of the Pitons.